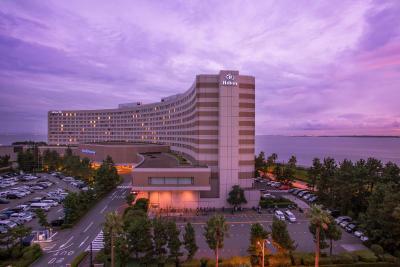 Lock in a great price for Hilton Tokyo Bay - rated 8.5 by recent guests. Service top notch. Rooms are clean and comfortable. Easy connection to Disneyland. The front desk staff were very helpful with check-in and tickets for disney parks. Wow, what else could you need in a hotel. 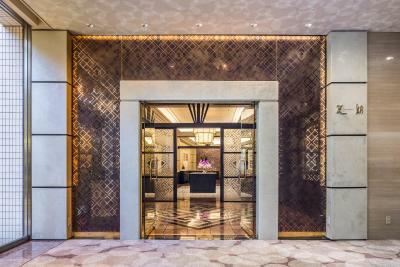 From the convenience store to the art gallery you didn’t have to step outside the hotel for everything you need! It was excellent ! Room was very big! Hotel staff is very nice! Lots of food available in the hotel and a small mart and disneyshop was at level 1. Lots of shuttle bus timing to nearby shopping center compare to other hotel nearby. Awesome !! we chose this Hotel for proximity to Disney Land purposes. Very convenient. excellent, polite & helpful staff. 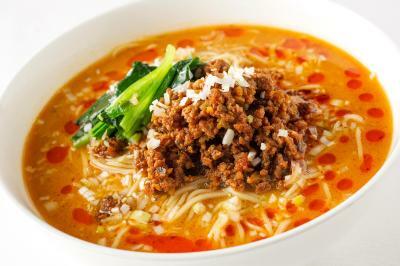 Very good breakfast and dinner option. Very good size of the room. nice view. Beds in room were Super single sized, very comfortable. We loved their breakfast and dinner buffet! 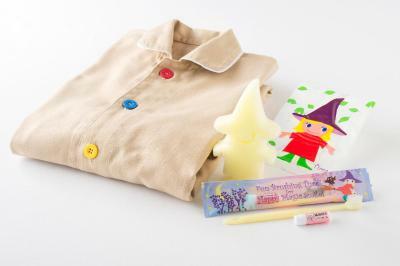 If you becomes honors member, free kids’ meals are indispensable perks! 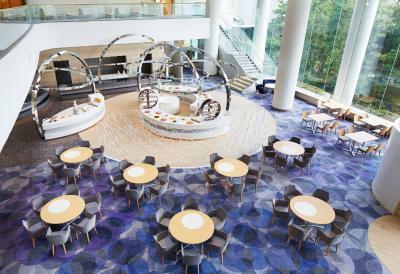 One of our top picks in Tokyo.Situated on the eastern shore of Tokyo Bay and located just a 20-minute train ride from Tokyo Station, Hilton Tokyo Bay Hotel is the official hotel of Tokyo Disney Resort. 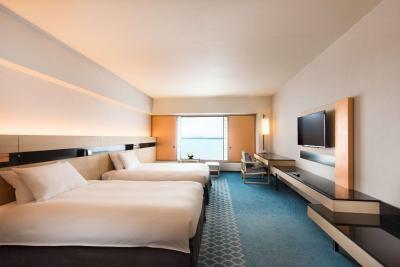 Offering spacious rooms with ocean or Disney Resort views, it features 5 restaurants and indoor and outdoor pools. 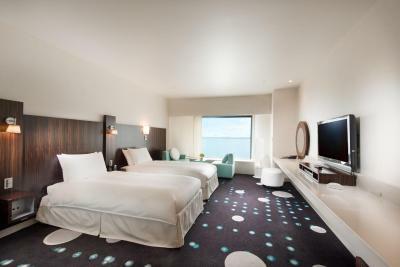 Elegantly decorated, the rooms at Tokyo Bay Hilton come with personalised service. Each has a flat-screen TV with a DVD player, and the roomy seating area invite relaxation. Bayside Monorail Station on the Disney Resort Line is just a 6-minute walk or 1-minute shuttle ride away, and goes directly to Tokyo Disneyland and Tokyo Disney Sea. The Narita Airport Limousine Bus stops at the hotel. 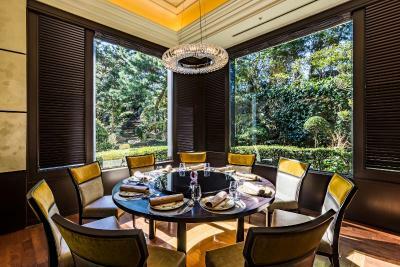 Guests can refresh with a massage at Relaxation Salon Hamam Spa Tokyo Bay or recharge with a work-out in the fitness room. A business centre and beauty salon are also provided. 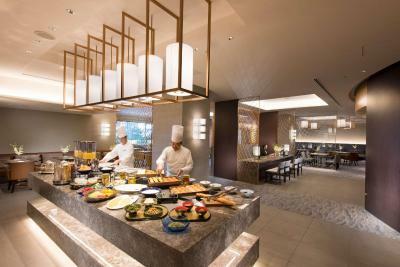 Guests can sample an array of Japanese, Chinese, Indian and Thai cuisines at the 30 yards long buffet at The Square: Forest Garden. 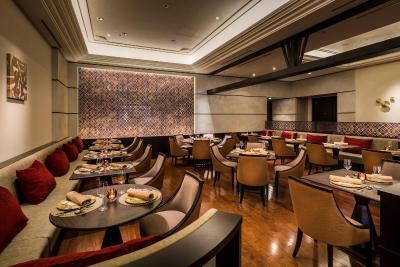 Authentic Chinese flavours are served at Dynasty Restaurant and Mediterranean dishes are on offer at The Square: Accendo. Those looking for a cocktail should head to Silva Bar. 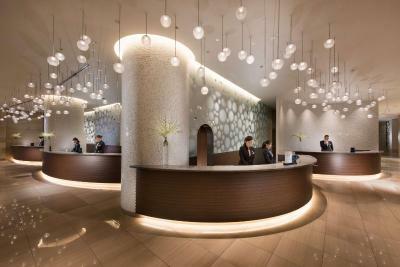 Hilton Tokyo Bay has been welcoming Booking.com guests since 12 Aug 2009. 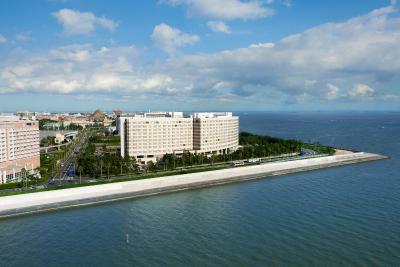 When would you like to stay at Hilton Tokyo Bay? 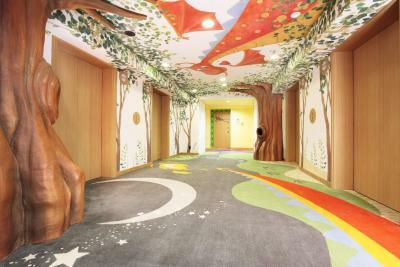 This uniquely designed theme room recreates the Magic Forest setting of the 'Happy Magic Story', a fairytale created exclusively for Hilton Tokyo Bay hotel. 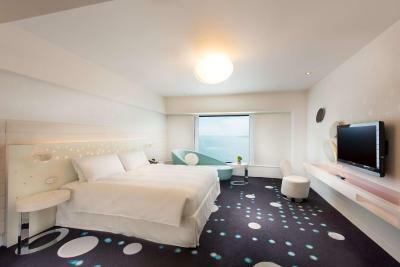 Features an ocean view and a flat-screen TV with DVD player. 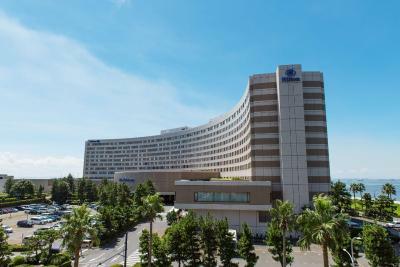 Private parking is possible on site (reservation is not needed) and costs JPY 3100 per day. 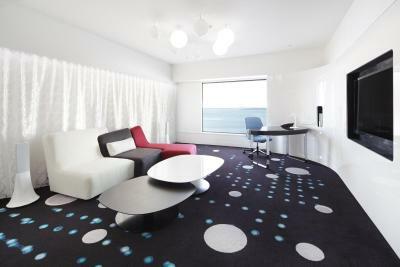 This room with modern decor features ocean views, and an iPod station. 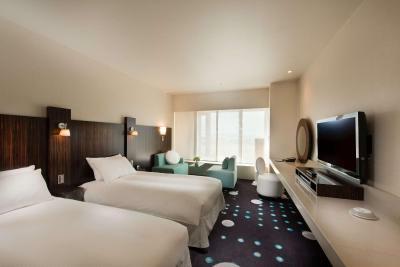 This room with modern decor features views of Tokyo Disney Resort, and an iPod station. 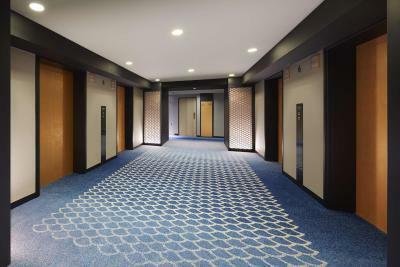 This room with modern decor is located on a higher floor. 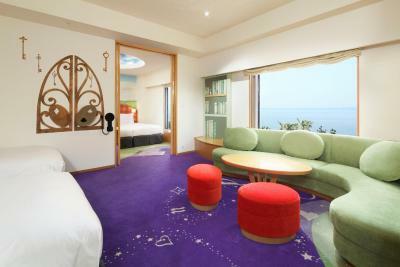 Features views of Tokyo Disney Resort, a flat-screen TV with DVD player, and a spacious bathroom. 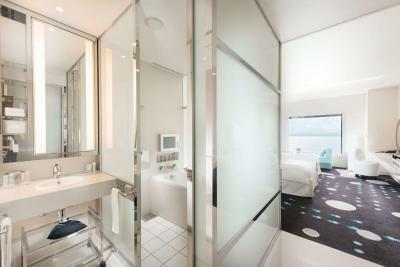 This room with modern decor is located on a higher floor. Features ocean views, a flat-screen TV with DVD player, and a spacious bathroom. 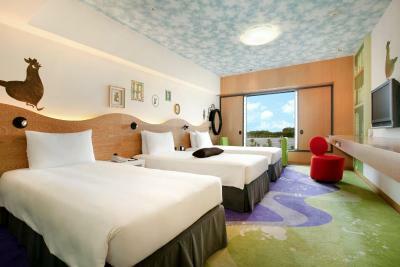 This spacious theme suite features separate bedrooms for adults and children. 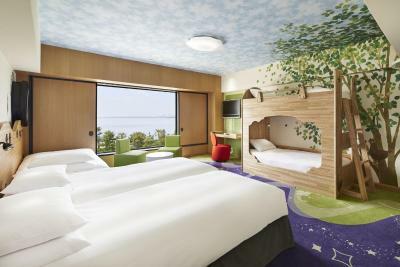 Includes a sofa, fluffy bathrobes, and WiFi access (fees apply). 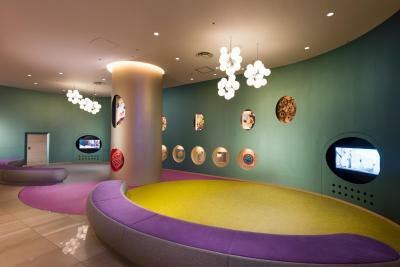 This uniquely designed theme room recreates the Magic Forest setting of the 'Happy Magic Story', a fairytale created exclusively for Hilton Tokyo Bay hotel. Features a flat-screen TV with DVD player. 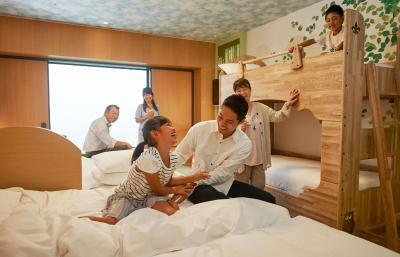 An extra bed will be prepared for a 4th guest, only when the booking is made for 4 people. Please indicate the correct number of guests at time of booking. 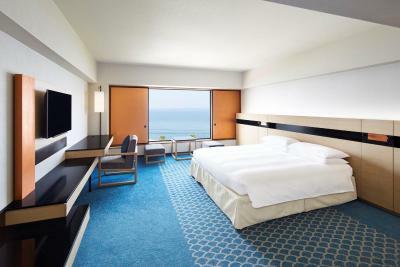 Guests can gaze at ocean views from this spacious suite, decorated in soft, calming tones. Guests can watch movies on the flat-screen TV and relax on the stylish tri-colored sofa in the modern living room. This room has an electric kettle, satellite TV and air conditioning. 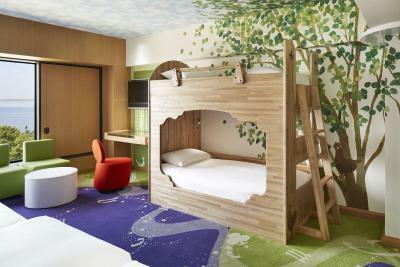 Extra beds will be prepared when the booking is made for more than 2 people. Please indicate the correct number of guests at time of booking. This room has a electric kettle, cable TV and air conditioning. This room features an electric kettle, satellite TV and air conditioning. An extra bed will be prepared for a 3rd guest, only when the booking is made for 3 people. Please indicate the correct number of guests at time of booking. This bright and airy room features a seating area, DVD player and WiFi access (fees apply). This family room features air conditioning, bathrobe and electric kettle. 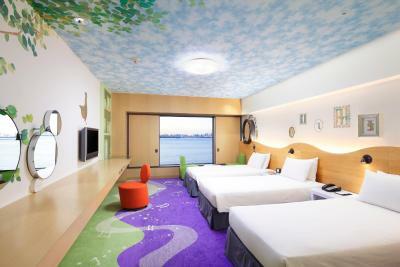 This room is furnished with 3 single beds and 2 bunks. This family room has a bathrobe, air conditioning and electric kettle. This room is furnished with 3 single beds and 2 bunks. A 4th extra single bed will be prepared for a 6th guest, only when the booking is made for 6 guests. Please indicate the correct number of guests at time of booking. 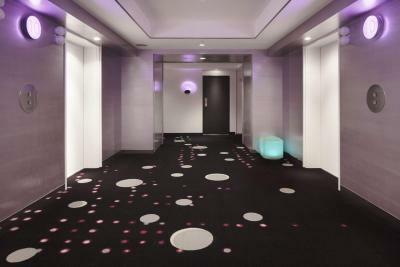 WiFi is available in some hotel rooms and costs JPY 1000 per 24 hours. 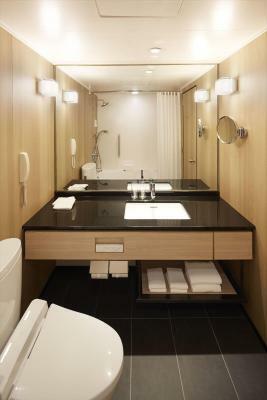 House rules Hilton Tokyo Bay takes special requests - add in the next step! Free! One further child under 6 years stays free of charge when using existing beds. 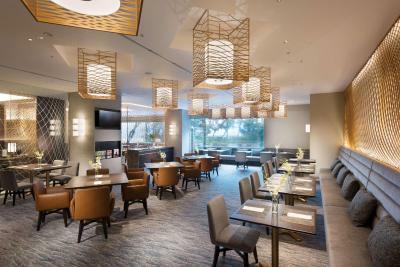 Hilton Tokyo Bay accepts these cards and reserves the right to temporarily hold an amount prior to arrival. - One child under 2 years of age can stay free of charge in a child's cot/crib. Please contact the property for details and availability. On Disney Tokyo monorail. Spacious family rooms that comfortably sleep 5. Friendly staff. Everything! The front staff was super, super helpful. I had originally booked the room for 4 nights and needed to amend it to 3 nights only. However, I was unable to make the amendments via Booking.com (never heard back from Booking.com about my request to change the length of my stay). Upon checking in, Gihan, the front staff who attended to me, was able to get in touch with Booking.com and had managed to get my booking amended very quickly. Far from Tokyo but good for who travel to Disney. 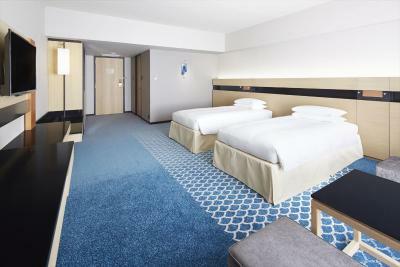 Good Staff and lovely room. The comfort of the beds. The them of our hotel room as well as the hallway was amazing. My two kids ages 5 son and 3 daughter; as well as my friend’s son age 9 enjoyed the features of the room. It was a very kid friendly hotel to stay in. 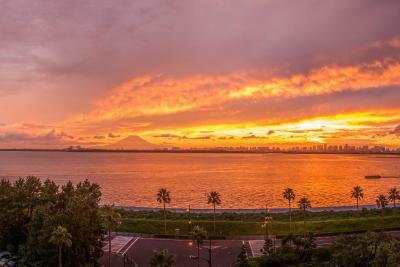 It was in an excellent location (very close to Disneyland and not too far from DisneySea if you take the monorail to both places and its very convenient. We were disappointed that when we first sat down for dinner at (Silva) we had to ask for a menu after waiting for 15 minutes. We decided to move over to another restaurant after no service. 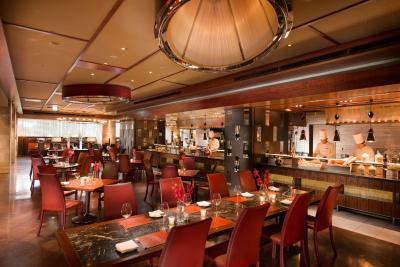 When we did finally get our orders taken in the Accendo, no one offered second drinks or asked how our meal was. Poor service from a Hilton. 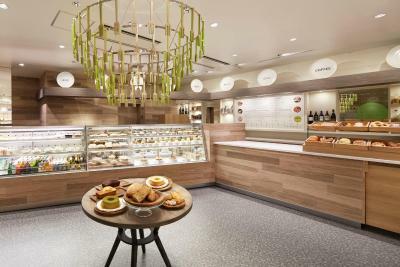 We went back to our room disappointed and noticed a lot of other guests were just buying dinner in the Fresh Connect convenience store and taking them back to room, I'm guessing due to greedy restaurant pricing and average food.